SSL: Secure Socket Layer protocol is used to encrypt data on the Internet between clients and servers using different encryption techniques. The encryption is done for the purpose of data integrity and prot ection. TLS: Transport Layer Security Protocol is same as SSL; SSL after version 3.0 excellent as TLS 1.0 which is SSL v 3.1 J, so both protocols are used interchangeably! That’s why we can say as SSL/TLS. Both protocol stacks are continuously updated. This bug was independently discovered by a team of security engineers (Riku, Antti, and Matti) at Codenomicon and Neel Mehta of Google Security, who first reported it to the OpenSSL team. Codenomicon team found a heartbleed bug while improving the SafeGuard feature in Codenomicon’s Defensics security testing tools and reported this bug to the NCSC-FI for vulnerability coordination and reporting to OpenSSL team (Source http://heartbleed.com/). Well for small organizations, securing their servers is an important part to avoid toll fraud and other abuses of the services, while for big corporations communication integrity and security is also a big concern. We should take proper measures while implementing Telephony solutions, to protect ourselves from frustrations and monetary losses! In the post-Edward Snowden era Communication, Industry Experts are becoming more and more concerned about Information Security, whether this information is in static form or in moving form! 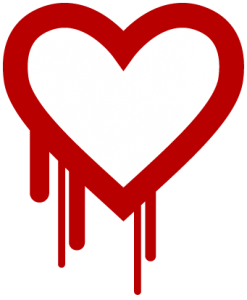 I hope above mentioned guidelines will be helpful in protecting systems from Heartbleed bug and making them a little more secure! Please feel free to let me know your feedback or queries through your comments! ← Does the rise of VoIP mean the Death of the traditional (POTS) landline?